Book an MileagePlus economy Saver Reward by January 16th and use 25% fewer award miles when traveling on Mondays, Tuesdays and Wednesdays and 20% when traveling on Thursday, Friday, Saturday & Sunday. Travel dates must be between January 27, 2012 and March 22, 2012 with a Saturday night stay. 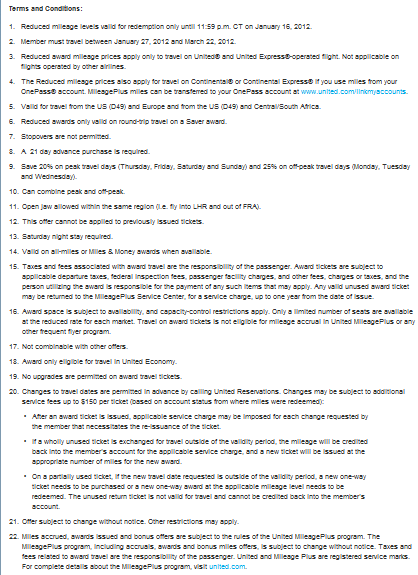 If you only have Continental OnePass you may open a United MileagePlus account, link your two accounts and book on continental.com. See below for terms and conditions.